We are not born for one corner. The whole world is our native land. 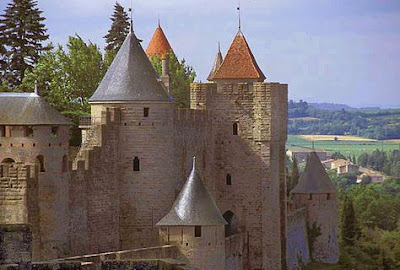 Carcassonne is one of the finest, historical and most interesting towns in France.The history of the town went back to the time of the Cathar wars where they played a very important role. 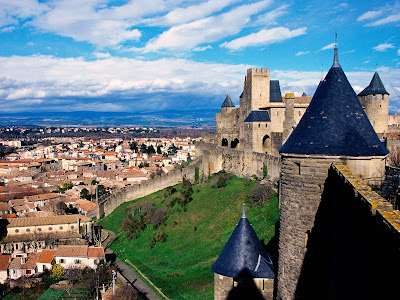 Carcassonne is a fortified French walled city at the Languedoc-Roussillon region. 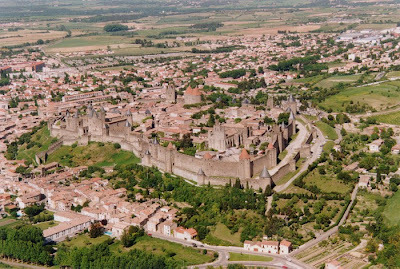 It is an entire city that is essentially one huge castle where huge rampant separates the walled city on top of a large hill. This popular attraction in France which draws more than three million visitors yearly is also classified as a UNESCO World Heritage site in 1997 and listed as a national Monument of France. Pepin the Short, king of the Franks took most of the south of France back from the Saracens in 760 except Cascassonne. It remained as an impregnable fortress. 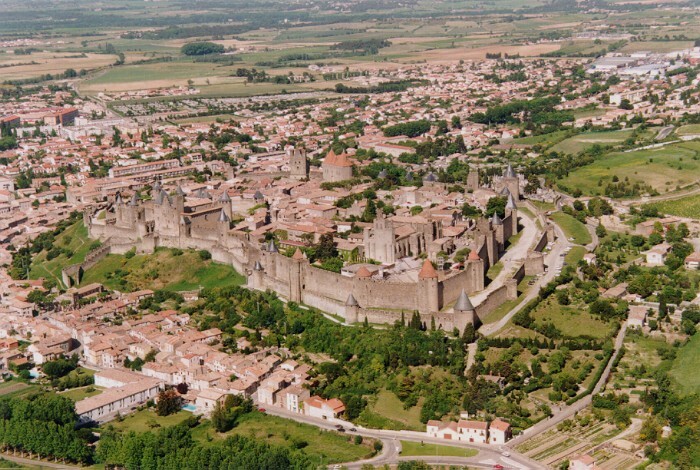 After a long war, the Franks thinks that the inhabitants of Carcassonne would soon starve and eventually surrender. But the widow of the Sarrasin lord of the castle named Dame Carcas devised a clever plan to save the city. She has a pig fed with the last sacks of grain that the inhabitants can find. After the pig was fat enough, it was thrown over the city's rampants. At the sight of such a well-fed fat animal, the assailant concluded that the inhabitants still have enough food to save off famine and weren't about to surrender soon. And so, they gave up. Dame Carcass rang all the bells of the city all day long to celebrate the victory. Legend has it that Dame “Carcas sonne” (Dame “Carcass rings”) is where the name of the city came from. 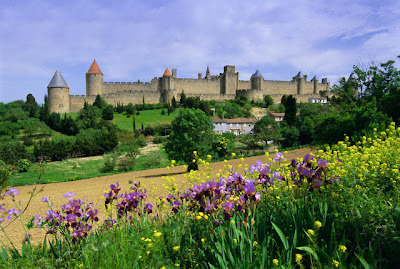 The Cathar's were very important in the history of Carcassonne. They led very austere lives. 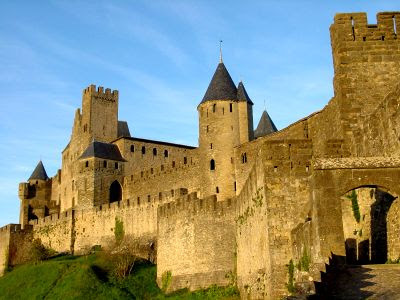 However, the Cathar's clergy known as the Perfects were thought to practice magic and know the secrets of alchemy. The Cathar's were then massacred and burned at the stakes. 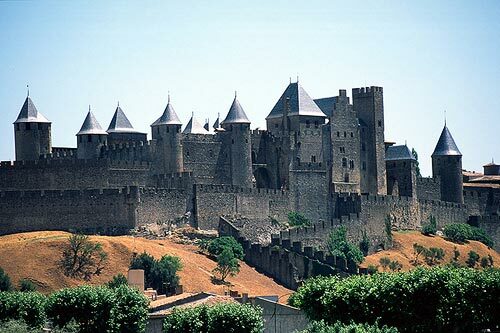 Some of Carcassonne's nhabitants still believe that the Cathar's hid their treasures in the surrounding mountains before their execution. Carcassonne is encircled by a huge double row of fortified walls that run almost 12 miles long and has a magnificent 56 watchtowers. 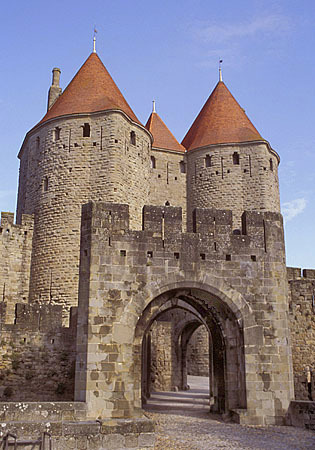 The walls were built to protect the city from barbarian invasions. The 2,000 year old city still stands today as the most successful achievement in military architecture of the time in Europe. 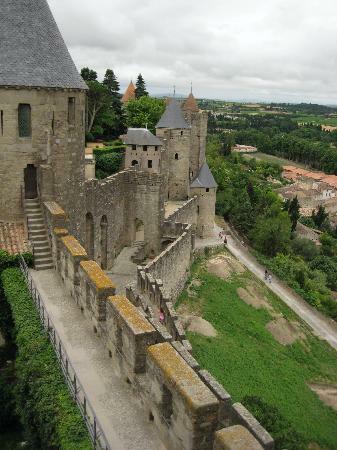 Anyone approaching Carcassonne would feel that they are being transported in a world of fairy tale. 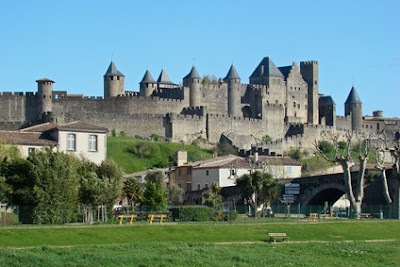 Nothing has really change in Carcassonne since the 13th century. If you find yourself in the south of France, don't miss the chance to visit the walled city and be carried back to the medieval ages and feel the magic of its glorious past. Live life to the fullest. Have fun. Enjoy. Travel.